Kivi Media is a network of media outlets designed to service specific laser focused niches within the Events and Performances industries. It was founded in 2016 by Zivi Raviv (a,k.a Zivi Kivi) with the launch of Balloon Artist Podcast which later evolved into an online school called Balloon Artist College.  The inspiration to service the niche of Balloon Artists came from watching the work of Ken Kelly and Julian Mather who created the Magician Business Podcast and later on the Kids Entertainer Hub / Academy. In Sep 2017 when Ken and Julian approached Zivi and asked him to start teaching in their brand new KEA (the Kids Entertainer Academy) he was excited to join teams with the guys that got him started with podcasting and online education. Forward 18 months later, Zivi was offered to become a partner and later on to become sole owner of the Kids Entertainer Hub. The vision for the Kivi Media was created during that transaction and here it is, given before you in full transparency. KM believes that service providers that were trained by its chain of schools prvoide superior value. Therefor we will grow the number of proffesionals that are trained by our schools. RUTHLESS RESULT: growing in 100% in 12 months. Introducing BAC and KEA to 1 new language in the next 12 months (franchising). KM currently runs 2 media outlets. We will grow to 3 within 12 months. RUTHLESS RESULT: open up a clowning online school or creating a relationship with the face painters TV company.